The Marvelettes were an American all-girl group who achieved popularity in the early to mid-1960s. They consisted of schoolmates Gladys Horton, Katherine Anderson (now Schaffner), Georgeanna Tillman (later Gordon), Juanita Cowart (now Cowart Motley), and Georgia Dobbins, who was replaced by Wanda Young (now Rogers) prior to the group signing their first deal. They were the first major successful act of Motown Records after the Miracles and its first significantly successful girl group after the release of the 1961 number-one single, "Please Mr. Postman", one of the first number-one singles recorded by an all-female vocal group and the first by a Motown recording act. Founded in 1960 while the group's founding members performed together at their glee club at Inkster High School in Inkster, Michigan, they eventually were signed to Motown's Tamla label in 1961. Some of the group's early hits were written by band members and some of Motown's rising singer-songwriters such as Smokey Robinson and Marvin Gaye, who played drums on a majority of their early recordings. 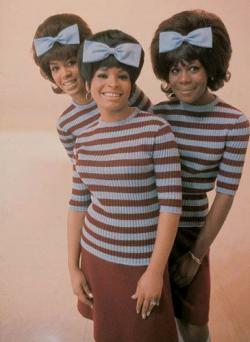 Despite their early successes, the group was eclipsed in popularity by groups like the Supremes, with whom they shared an intense rivalry. Nevertheless, they managed a major comeback in 1966 with "Don't Mess with Bill", followed by a few smaller hits. They struggled with issues of dismal promotion from Motown, illnesses, and mental breakdowns, with Cowart the first to leave in 1963, followed by Georgeanna Tillman two years later, and Gladys Horton two years later. The group ceased performing together in 1969 and, following the release of The Return of the Marvelettes in 1970, featuring only Wanda Rogers, disbanded for good, with both Rogers and Katherine Anderson leaving the music business. The group has received several honors, including the Vocal Group Hall of Fame and the Pioneer Award from the Rhythm and Blues Foundation. In 2005, two of the group's most successful recordings, "Please Mr. Postman" and "Don't Mess with Bill" earned million-selling Gold singles from the RIAA. On August 17, 2013, in Cleveland, Ohio, at Cleveland State University, the Marvelettes were inducted into the 1st class of the Official Rhythm & Blues Music Hall of Fame. The Marvelettes were nominated for 2013 induction to the Rock & Roll Hall of Fame. They are currently on the ballot for 2015 induction.